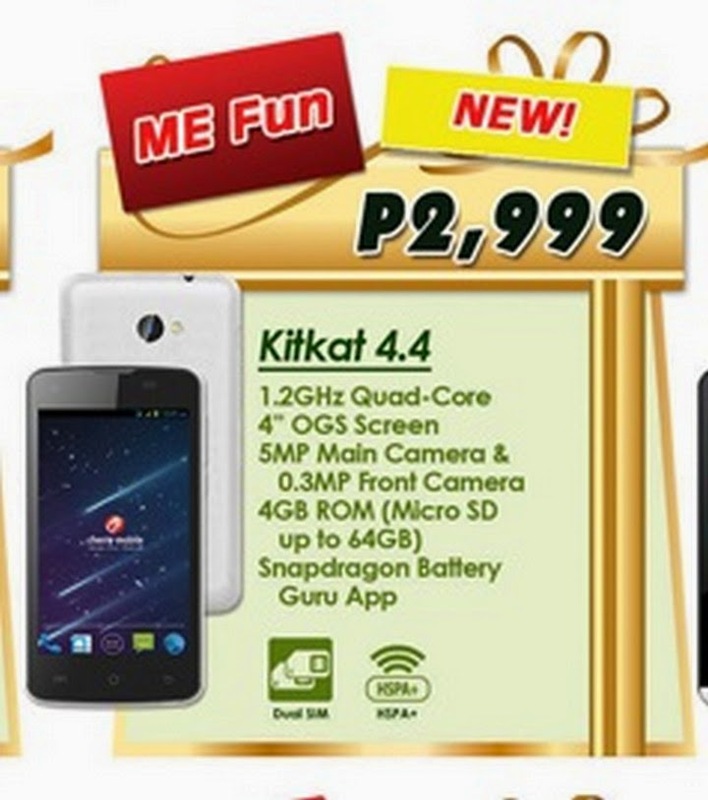 Cherry Mobile makes another version of its recently launched Me phone and named it as the CM Me Fun. The device comes with a speedy 1.2-gigahertz Snapdragon processor and Android 4.4 KitKat. In the local market where fierce competition exists, we can also think of a similar-sounding handset called the MyPhone Rio Fun. Of course, the latter is very popular in since it came from the MyPhone's most successful line of portfolio, the Rio series. So who’s the better “Fun” phone that you would probably buy this holiday season? Check right after the fold as we dish out all the necessary points that you need to know before buying either of these devices in the same price standpoint of Php 2,999. Let’s start with the obvious. 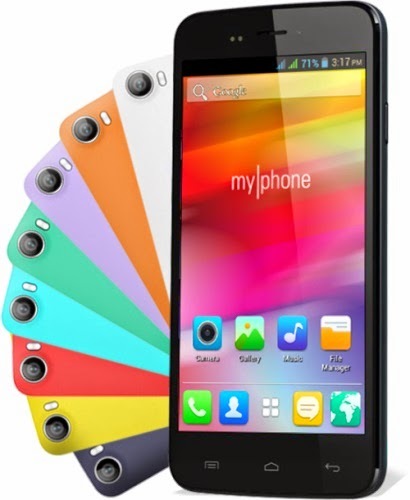 The MyPhone Rio Fun has a bigger screen real estate compared to the Cherry’s Me Fun phone – that’s specifically 5-inch versus 4-inch LCD. However, the Me Fun comes with a One Glass Solution display. This means that display module is thinner since layer of glass is lesser than the conventional display. In terms of internals, the MyPhone Rio Fun will be outpaced by the Cherry Mobile Me Fun with its 1.2GHz quad-core Qualcomm Snapdragon processor. Though both of them have the same RAM (512MB), the Rio Fun registers a tad slower with its shabby 1.3GHz dual-core MediaTek processor. Camera-wise, the Me Fun also clouds the 3.2-megapixel sensor the Rio Fun with its 5-megapixel offering. Both have the same VGA (0.3-megapixel) front camera for video calling and selfie point-and-shoot activities. There’s also no question about the expandability option of both devices, the Me Fun supports up to 64GB and the Rio Fun supports up to 32GB via microSD card slot. One thing we need to point out is that the Rio Fun only has 2G (EDGE and GPRS) cellular connectivity, this means that it has a slower cellular internet connectivity compared to the 3G HSPA+-capable Me Fun. Likewise, the Me Fun sports the slightly updated version of Android, 4.4.2 KitKat. The MyPhone handhled only settles with 4.2.2 Jelly Bean. Our conclusion is just pretty simple. For the price of Php 2,999, the Cherry Mobile Me Fun shades the MyPhone Rio Fun in three critical points – camera, 3G connectivity, newer version of Android and processor. However, if you have a steady WiFi connection at home (or mobile hotspot) and just wanted to get a bigger screen real estate for your information consumption, then the Rio Fun suits you.